I've watched this mess go from bad to worse in just a few episodes. Someone over at SyFy should be jettisoned from the nearest airlock for this menagerie masquerading as a sci-fi show! The weak formulaic plots, cheap CGI, bad dialogue and slow pacing renders this show too painful to watch– however, if you're looking for a show to lull you to sleep while you wait for the automatic shut-off timer to do its thing– I'd say you've found your winner in "Defiance." 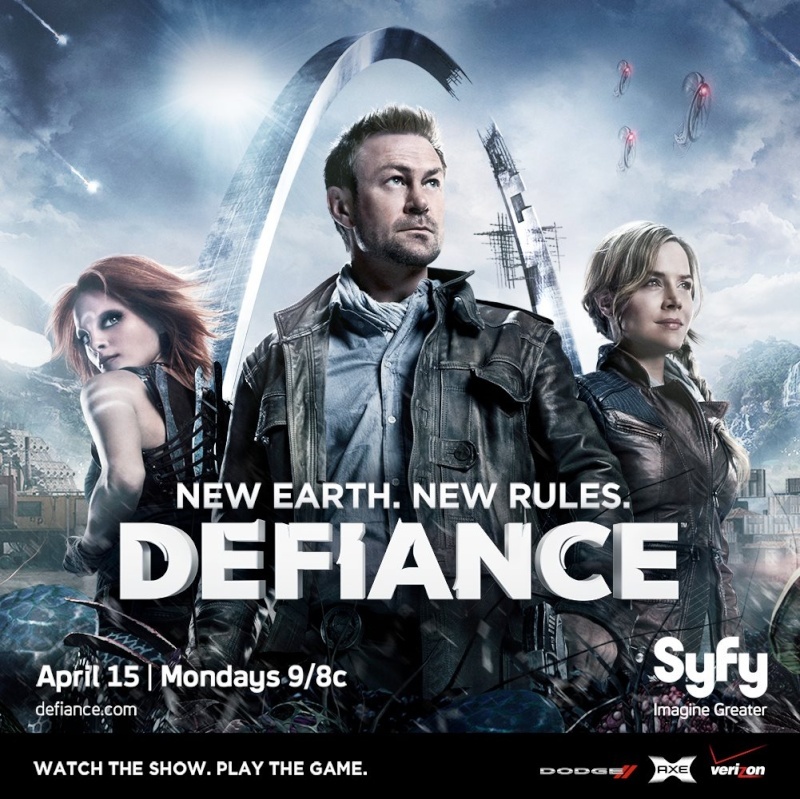 The only things "Defiance" has going for it is its companion video game fan-base, its good acting (a la Jamie Murray), interesting alien races and the occasional "bump" in action– however, all this is drowning in an air of "why should I give a FRAK?" To be honest I'm not sure if the show's low budget is a contributing factor to its boring stale feel or if it's the writing that makes it completely torpid and lack-luster. This show needs a complete overhaul from script-to-effects. They may even consider taking some time off to rebrand the show and then bring it back next season– giving us some time to forgive and forget as only we loyal sci-fi fans can. If all else fails, SyFy can always drop "Defiance" and pick up "PERIL" by yours-truley ; we just need to make sure the same FRAK-ups don't come along for the ride (i.e. low-to-no budget, bad CGI effects, poor script-writing and bad acting).